Fed to hike, but what next? Yesterday’s data showed that U.S consumer prices climbed in May, a further sign price pressures stateside are solidifying. The Fed, which began its two-day policy meeting yesterday, is watching price data closely as it weighs the path of short-term interest rates. This afternoon, Fed officials are widely expected to announce an increase in their benchmark short-term interest rate (2:00 pm EDT), when they also are expected to signal their plans for H2, 2018. Note: The Fed’s preferred inflation measure, the personal consumption expenditures index, rose +2% in April from a year earlier, matching the Fed’s annual inflation target for a second consecutive month. Prices ex-food and energy rose +1.8% y/y. Most of the focus at tomorrow’s ECB meeting will be on potential signals for what happens after September. While the market looks for the asset purchases – currently at €30B a month – to be tapered in Q4, the ECB might wait until next month to reveal details. The ECB will publish staff forecasts on growth and inflation – staff are likely to boost inflation forecasts on the back of a weaker currency and higher oil prices than three-months ago. 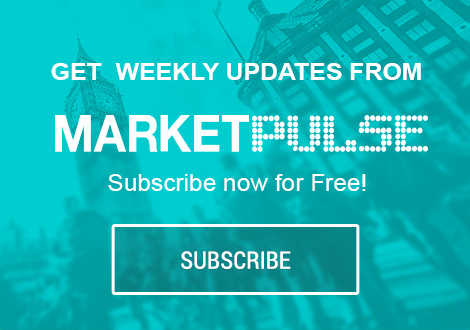 On tap: U.K inflation, FOMC statement & AUD employment (June 13), U.K retail sales, ECB rate announcement, U.S retail sales & Bank of Japan (BoJ) rate announcement (June 14). Global equities have mostly traded sideways overnight ahead of the Fed’s statement later, when officials are widely expected to hike interest rates and provide further clues on their future path. In Japan, stocks edged higher overnight, but gains were limited as many investors await the Fed’s policy decision. The Nikkei share average ended +0.4% higher, while the broader Topix also gained +0.4%. Down-under, mining stocks led Aussie shares lower on Wednesday. The benchmark S&P/ASX 200 index was down -0.5%. It added +0.2% on Tuesday. In China and Hong Kong, stocks slid overnight, pressured by shares of telecommunications – (ZTE had about -$3B wiped off its market value after agreeing to pay up to +$1.4B in U.S penalties). The CSI300 index fell -0.7%, while the Shanghai Composite Index lost -0.8%. The Hang Seng index dropped -0.6%, while the Hong Kong China Enterprises Index lost -1.0%. In Europe, regional bourses trade mixed. The Spanish Ibex is underperforming, weighed by retail shares, which trades lower after results. Oil prices are under pressure, hit by rising supplies in the U.S and expectations that producer group OPEC could relax voluntary output cuts. Benchmark Brent crude is down -35c at +$75.53 a barrel, while U.S. light crude is -40c lower at +$65.96. Note: OPEC and some non-OPEC producers started withholding output in 2017 to reduce a global supply overhang and prices have risen by around +60% over the last year. However, OPEC said yesterday that the outlook for the oil market in H2 of this year was highly uncertain, and warned of downside risks to demand. OPEC will meet on June 22 in Vienna, to discuss future production policy. Note: In the U.S, API data yesterday showed that crude oil inventories rose by +830k barrels in the week to June 8, to +433.7m. Ahead of the U.S open, gold prices are holding steady after falling to a one-week low Tuesday, as the market waits for clues on the pace of future interest rate hikes by the Fed. Spot gold is little changed at +$1,295.02 per ounce, after it touched a one-week low of +$1,292.60 yesterday. Italy’s borrowing costs have dropped sharply this morning ahead of a key bond auction after the country’s new E.U Affairs Minister Paolo Savona said the EUR was “indispensable” and denied he had ever suggested leaving the single currency. Note: Savona had previously expressed hostile views on the ‘single’ unit, and his potential appointment as economy minister for the anti-establishment coalition last month had sparked a market selloff. Italy’s two-year government bond saw its yield drop well below +1% and is last down -14 bps at +0.90%. This is below where it started the week – at +1.13% – and a long ways from last week’s peak of +2.73% when the market concerns were at their most intense. Elsewhere, the yield on 10-year Treasuries gained +1 bps to +2.97%, the highest in a week. In Germany, the 10-year yield dipped less than -1 bps to +0.49%. In the U.K, the 10-year Gilt yield fell -1 bps to +1.401%. With a Fed rate hike almost fully priced by the markets, price action would most likely be driven by potential changes in rate guidance. The ‘bulls’ expect the USD to rally further if the FOMC signal that real yields were likely to rise materially from here. GBP/USD (£1.3317) is a tad softer after today’s inflation data (see below). It has also come under geo-political pressure – political uncertainties are remaining for PM May’s Brexit strategy as she continues to ward off a revolt from pro-European lawmakers on her legislation. USD/JPY (¥110.61) is higher for the third straight session to approach the 110.70 area as a +25 bps rate increase by the Fed was almost a given. Bitcoin (BTC) has tumbled to its lowest level since February. BTC fell below +$6,500, bringing the slide for the year to more than -50%. Data this morning showed that annual inflation in the U.K was steady in May, as rising crude oil prices pushed up companies’ costs. According to the ONS, consumer prices rose +2.4% on year in May, matching the rate seen in April. Digging deeper, higher prices for gas and airfares offset weakening pressure on inflation from housing services and food and drink. The figures suggest that inflationary pressures persist in the U.K despite subdued wage growth. This should keep the BoE in play for the time being. Note: Governor Carney has suggested that he expects to raise borrowing costs in the U.K two to three times within the next few years to bring inflation back to their +2% target. Currently, consensus expects the next BoE rate increase could come as soon as August, but those expectations have taken a hit following a run of poor growth signals.